Has file got corrupt? 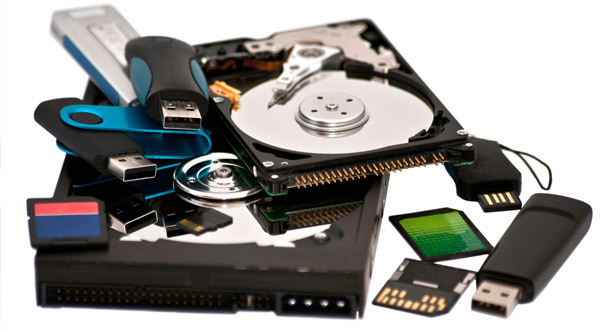 Do not spend hard-earned money directly on data-recovery services. Just once, have a look at this comprehensive guide to recover corrupted files efficiently with minimum losses. This might help to save a small fortune. When a file gets corrupt, it causes an immediate alarm. This is because it feels like somebody has torn the essential pages out of a book, or an unwelcome guest has entered the room without a call. Fortunately, this condition has a counterbalance option unlike torn pages or an unwelcome guest scenario. In short, recovery of corrupt files is possible. The only prime consideration is to have the right expertise. In this post, we highlight several simple solutions to corrupted files recovery. Further, this blog sheds light on few significant reasons for corruption and tips to minimize data corruption effects. One of the most straightforward DIY techniques. This approach removes the virus and solves the purpose. Limitation: This works only when the cause of corruption is virus. Limitation: This option serves the purpose in relatively minor corruption cases. Limitation: Due to manual intervention, this involves data compromise issue and permanent data loss risk. A dialog box indicating two options: “Scan for and attempt recovery of bad sectors” and “Automatically fix file system errors” pops up. Here, checkmark both options. Limitation: In cases of severe corruption, it may work or may not work. However, if these freeware options fail or do not work, the other efficient DIY approach is to run third-party data recovery software to recover corrupt files. This technique to retrieve data is safe, secure, and simple. The only challenge here is the selection of the right data-recovery software. As a recommendation, try Stellar Phoenix Windows Data Recovery – Home for risk-free corrupt file recovery. The leading technocrats have tried and tested the software on several aspects such as security, performance, operations, etc. The rationale is this Windows data-recovery software works in all adverse scenarios including bad sectors, and severe corruption. To evaluate, try Demo version. Note: Say No to freeware tool. Reason being, free options help in limited recovery only. Moreover, does not have Write Protection. The key to success in this or any other data loss scenario is to stop using the affected drive immediately. That is because further usage potentially overwrites the data and reduces the possible chances of recovery by causing additional aggravation.